Conversion is one of the main goals of every online entrepreneur. However, getting your online visitors to engage with your sales pages is not as easy as it sounds. There are many things to overcome; from their objections to preferences and ease of navigation, your site needs to be more than just any other typical website. If you are struggling with ways to increase the conversion rate on your website, you must first satisfy all the requirements for customer engagement, otherwise, you won’t be able to maximize on these crucial opportunities. Before we discuss the tactics to increase conversion at the end of the sales funnel, it is important to understand what a sales funnel is and how to optimise for the various stages of the customer journey. 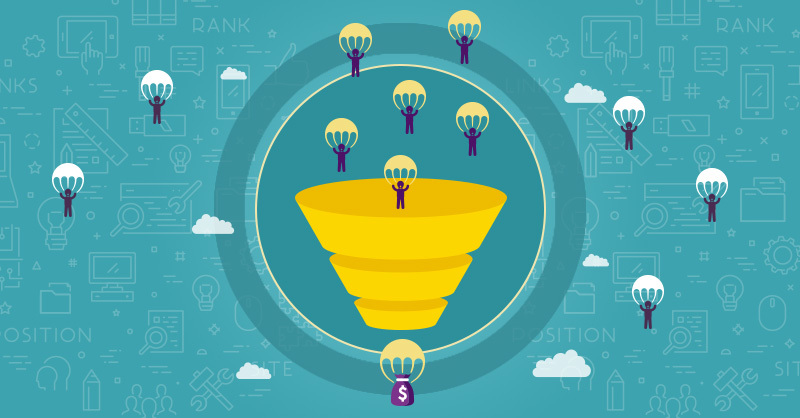 A sales funnel is a tool that allows site managers to see where their potential customers are as they make purchase decisions while navigating their website. A sales funnel is typically wide at the top and narrow at the bottom (as in an actual funnel). This is because more customers start at the beginning of the funnel, but as they proceed along the website, and further along the journey, many drop off and only the most engaged are channeled to the end of the funnel. It is at this point they are most likely to convert into customers, and with future outreach, they can become repeat customers. With these instructions, you should have a better idea of how to lead your visitors effectively through your site’s sales funnel. This content component should be basic for every website owner. If you want to attract traffic, you need to give potential visitors a reason to look forward to your website. Blogging about topics that interest them is one way to go about it. According to a survey by Hubspot, businesses that blog over 20 times a month get 5 times more traffic than those that blog less than 4 times a month. Find out topics that interest audiences in your niche and blog about them. Ensure you use the right keywords to drive even better results. PPC campaigns let you pay other websites for promoting your business ads on their web pages. As the name suggests, you only pay when customers actually click on your ads and land on your website. PPC is a sure way to attract customers because people who click on your ads are already interested in your promotional message. It is up to you to convince them while they are scrolling through your website. Google AdWords is one example of a PPC campaign. With an account, you can see how many people interact with your keywords, the engagement rates, and acquisition for each ad group. You can also capture each prospect’s email address via free offerings. Generating viable leads this way can help you build a subscriber base for newsletters, where you can contact previous customers and encourage repeat sales. But we shall get to that at the bottom of the sales funnel. When you have attracted a significant number of the community, the next step is to engage them. How do you do that? By having content that is relevant to their needs. A well-written landing page is one that addresses a specific need that is relevant to your customers. It has one call to action and its objective is to get the contact information of your prospect or convince them to make a purchase. Direct your traffic to a good landing page and watch how this increases your conversion rate. For example, if you run a gym and you want to increase membership; after running your PPC campaign on fitness blogs, create a persuasive landing page to convince those potential members who visit your site. This landing page should contain copy related to your gym, the qualification of each instructor, the type of equipment and additional packages to entice them. You will also feature the various sections of your gym, the clean comfortable shower rooms, and the costs. A specific landing page and a call to action that is relevant to your prospect’s needs will likely get them to convert. Every page on your website should have a goal. Ask yourself, what do I need readers on this page to do? Is it to sign up for a subscription? Or call the customer representative, or to buy a new pair of gym shoes? Determine what action you want and create a clear call to action for strategic positions on the page. A call to action is simply a statement that urges prospects to take an action. It could be “Sign up here for your free monthly updates,” or “Click to buy your own pair of slip-resistant flip-flops.” Whatever the purpose, ensure that it is concise, purposeful and easy to understand. There is a whole science to how call-to-action buttons perform. From the colour to the placement and the accompanying text, creating one can be the difference for good conversion results. Once you have a good customer base, probably from people who signed up to your newsletters, you can start educating them via email. Sending automated emails to subscribers with information such as the 10 most FAQ about your business can clear certain doubts in their mind. Simple but well-curated emails like this are ideal if you don’t have a specific email marketing plan yet. When the customer replies, you can follow up and complete the conversion. While continuing to educate your prospects, drip marketing is another way to inform them about your business. It is an automated way to send pre-written email messages via “drips” to your prospects or customers over time. If written and sent with accurate timing, an auto-responder series can take a customer through the crowded stages of a sales funnel, and directly into a purchase. However, there are certain things to avoid. Don’t be too familiar with using their first names if you haven’t already set up a relationship yet. Many skeptical people delete the emails quickly. Instead, build rapport by using relevant content to get their attention first. There is a key to writing email marketing subject lines, and it is vital for every marketer. In this stage of the sales funnel, we take deliberate actions to convert the customer. Most site owners assume that customers will easily make it to their checkout page. On the contrary, if your site is convoluted with winding links (like most E-commerce websites), it will be harder for them. Rather, make navigation easy by placing direct links to your product’s checkout page. Send subscribers the latest products and promos. Plan enticing email marketing campaigns around exciting holidays such as Christmas, or events like Valentine’s Day. Continue to remind your prospects about the benefits of your products, and provide them with many opportunities to make that purchase. Customer conversion should be an ongoing process. Sometimes, you will have customers who went through all the stages of the sales funnel, only to reach the checkout page and abandon the cart. Don’t give up on these lost customers, because you can still salvage the sale. One of the reasons for leaving may be a distraction – or they had limited time. With retargeting marketing campaigns, you can easily win them back. This strategy places a code on your checkout page to follow and remind abandoned-cart-customers when surfing other websites on their computer. Eventually, some may retrace their steps back to your checkout page and complete the sales. Use display marketing for this method because images tend to work best. According to different research results, customers are more likely to request a service or buy a product when it is recommended by a close friend or family member. This is known as social proof. Don’t hesitate to ask for referrals. Tell your existing loyal customers to tell their friends about your business while offering an incentive. A good example of this system can be seen in Uber which gives customers a discount for introducing a newcomer to their service. Alternatively, if you are in the B2B industry, you can ask your customers for an introduction or business contacts within their circle of influence. Within the “remember the core” part of the sales funnel, you can further solidify your customers’ loyalty by rewarding them with discounts and targeted sales. Some e-commerce websites use various upselling and cross-selling strategies. Find new uses for your products and get customers to buy them again – IKEA does this so well with its furniture hack ideas. Another popular concept is seen in site search suggestions. Algorithms may suggest alternative products like, “Customers who bought this also bought…” “If you may also be interested in…” Upselling and cross-selling methods give you new ways to generate revenue from the same (or related products) from the same customers. Are you currently adopting any of these strategies? 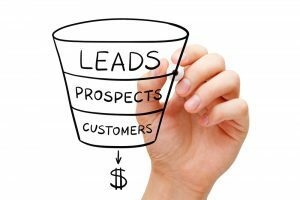 When you implement a proper plan for your sales funnel, plug each of these techniques into the right positions, and you will get the conversion results your business needs to succeed. James is an experienced senior manager who has delivered staffing solutions to global brands, interfaced at board level with FTSE100 companies and managed multiple simultaneous digital projects, with an agile framework, through their full life cycle. He runs a UK writing company (www.dailyposts.co.uk), with staff in the US too. 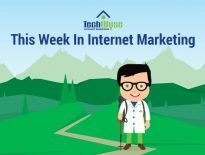 He’s an expert in and writes across a wide range of niches, more particularly on digital marketing, SEO ranking, and organic web traffic metrics.